Videos have been one of the best means of entertainment for people around the world. Be it a movie or a song or anything else, people enjoy watching videos. Even if it comes to blogging, nowadays more bloggers are diving into vlogging because the audience is more interested in watching videos rather than reading the text based content. 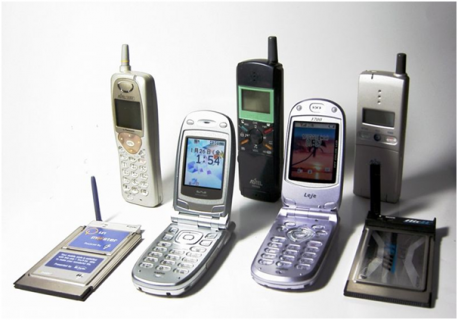 In such scenario, the usage of video creation and consumption has increased a lot. Many times, you can get issues in playing some videos because your video player doesn’t support a particular video file format. It happens with many of us. Though new generation video players are quite robust and support a wide range of file formats, there are still some formats that may not be supported by your favorite player. So, what will you do if you have a video that you need to watch urgently, and your player is not able to play that? You may try downloading different video players and check whether they work for you or not. But, this can take a lot of your time. So, why not finding some other and easier solution? I would like to introduce a software called iSkySoft Video Converter that you can use to convert your videos to various other formats. Not only videos, it supports audio formats as well, so if you need to convert a video to an audio file, you can do it as well. 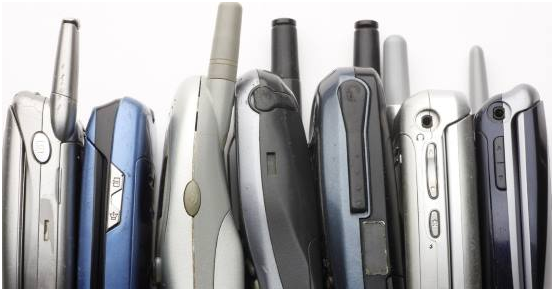 You can also convert audio file to other audio file formats. The best and prime feature of this software is to convert videos and audios from one format to another, and that is what you will see when you open the software’s user interface. One thing I really like is that its UI is very simple and clean. No clutter at all. 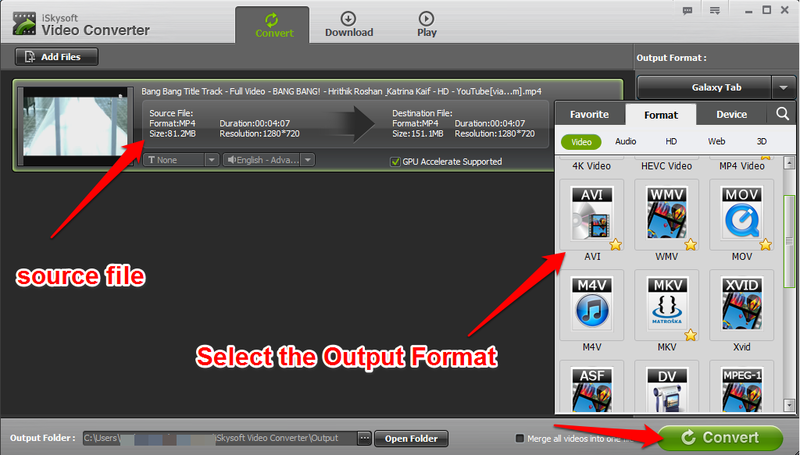 It supports almost all known formats of videos as input to convert into your favorite formats. 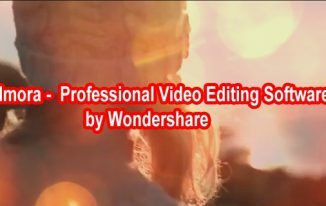 To list a few, MP4, WMV, MKV, MOV(QuickTime), MTS, FLV, 3GP, AVI(XviD), MPG, MPEG1, MPEG2, HD MOV (MPEG-4, H.264), MOD (MPEG-2), HD WMV (VC-1), HD TOD (MPEG-2), HD MKV (H.264), M4V(without DRM), 3G2, TS, WebM, RM, RMVB, ASF, RMVB, OGV, VRO, TP, TRP, MXF, DivX, VOB, etc. these are acceptable by this software. How to Convert Videos/audios to other format using this software? Once you add one or multiple files, just select the output format, and start the conversion process. 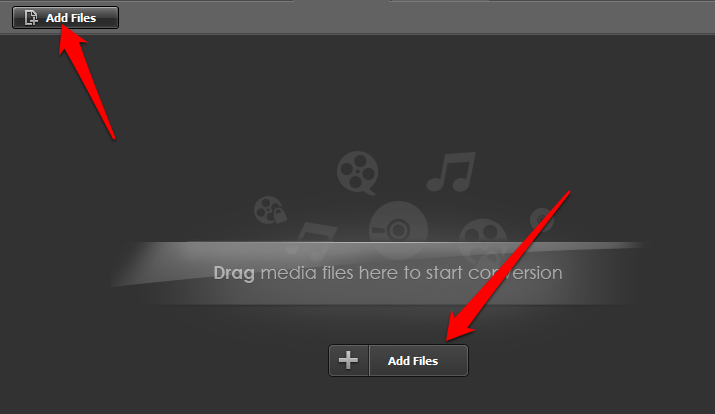 As you can see in the above screenshot, once the file is added, you can select the output format from a huge list of formats, and click on Convert button. The processing will be completed in some time depending on the source file size. Now, open the location where the file is saved, and save it wherever you want. Exactly the same process you can apply for converting audio files as well. And, video to audio conversion process is also same. The main thing is selecting the output file, and you are done. 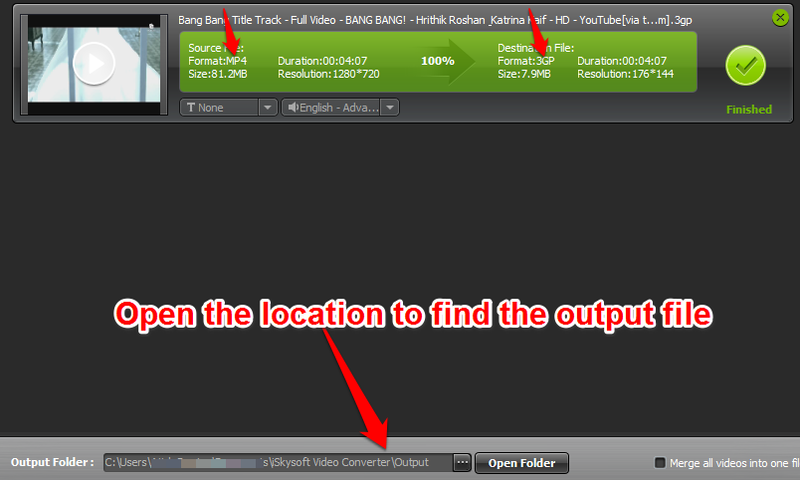 As I said earlier that iSkySoft video converter is not just a video converter but much more than this. You can download videos as well. All you need to click on Download tab as you can see in the above screenshot, click on Add URL, and you will see a dialog box where you can enter the URL of the video. Set the location where you want to save the video. 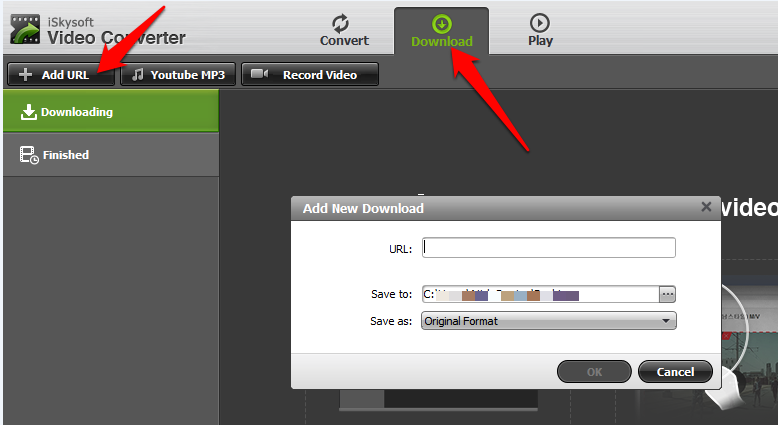 You can select either the Original Format or any other format in which you want to download the video. Suppose if the video is in Mp4 format, then you can download it as it is or any other format such as Avi, 3GP, etc. by selecting from the drop down that comes when you click on the Save As dropdown. You can see the video which is originally an MP4 video is downloading in the .Mkv format. 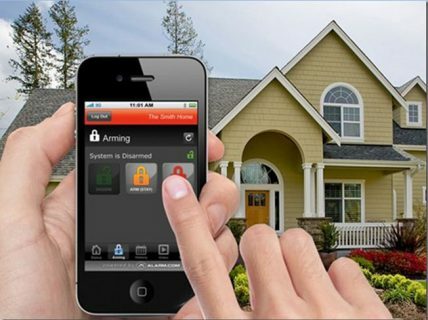 Isn’t it a great feature? Downloading video in the format we need! 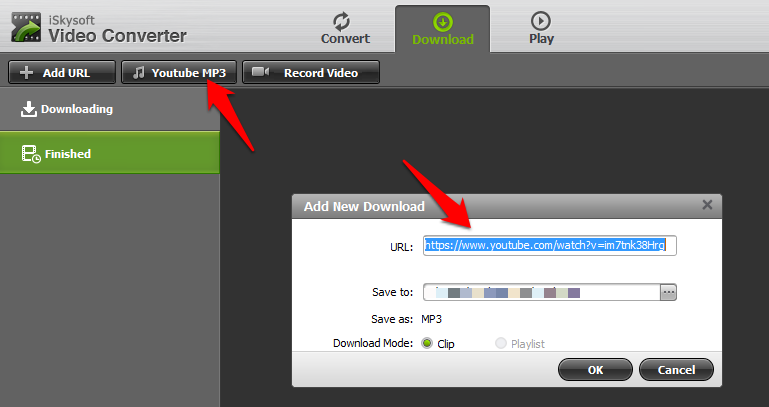 You can also, use the option “Youtube Mp3” to download only the audio of a YouTube video. You just need to enter the URL of the video. Click on Ok, and audio will be downloaded in some time. The Software also offers recording screen capturing to create video which is an awesome feature that you can use to create how-to videos as well. Click on Record Video, and this frame will appear. Now, drag it on the screen portion you want to record whether a video or a screen, and click on Rec. Once you are done, again click on Rec to stop recording. Once it is stopped, the video will be shown there; you can play that video. Play feature is for playing videos. Whether record, download or convert a video, all of those will be played inside this software only. You can also use another player to play those videos as well. Also, you can play the videos that are on your computer. 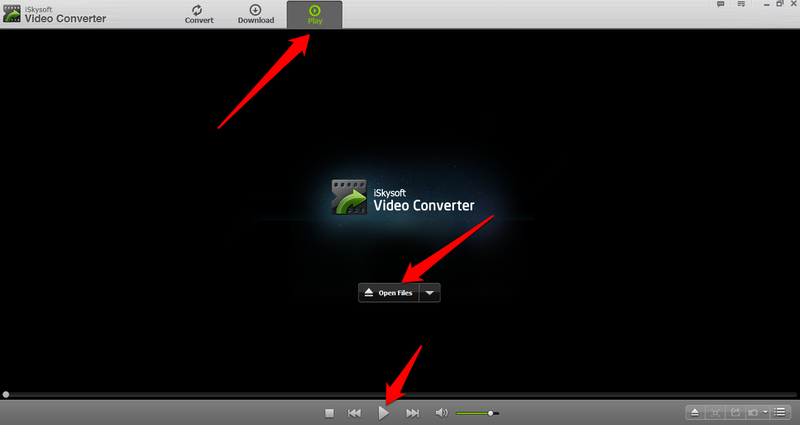 In short, iSkySoft Video Converter also works as a video player. It has all the controls which should be in a Video Player. 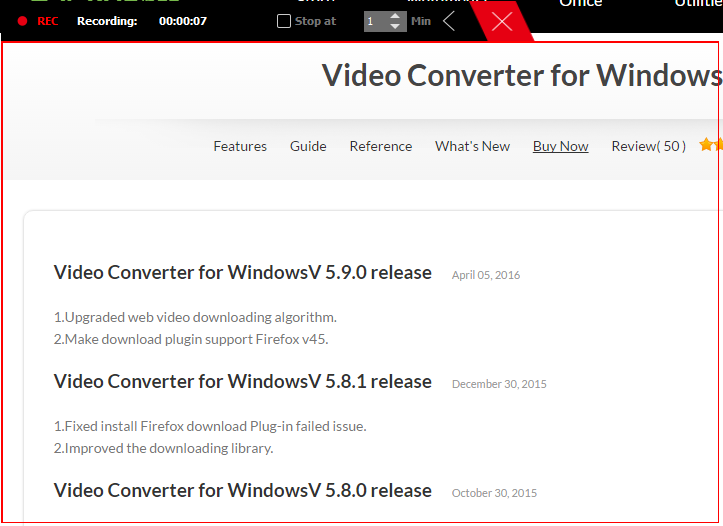 iSkySoft Video Converter is all in one software for all your video-related needs. I am enjoying this software as I don’t need to open different software to carry out various stuff. I think I have said everything about this software that you need to know. Now, it’s your turn to grab your copy of this software and enjoy. Share your views on this review in the comments. 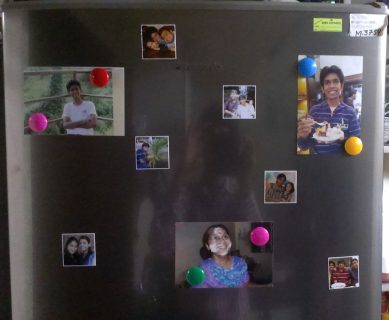 It’s really very useful article. Sometimes I have experienced that I try to watch an important videos but the media players (which are installed in my laptop) do not support the video format, so I am unable to see that videos. I think iSkySoft Video Converter will be a best solution to solve this problem. I will sure use this software. Thanks so much for sharing this useful article. Yes, it happens with many of us. I happy that you found this review useful. Enjoy the weekends. I faced ” video file not supported to play” issue so many times when I downloaded movies to my PC to watch movies, I think this is the common problem to so many people. I think ISkySoft is the best solution to this problem to convert one file format to other, VLC media player almost runs every video file except some rare files. Thanks for sharing the information about ISkySoft video converter, see you soon. You are right, it does happen sometimes when some video that we need to watch, and our video player is not able to play. You are right about VLC player, it supports almost all recognized video formats. It was really a useful post, many of them face the problem with the video format, i think iskysoft will help them out, nice briefing of the working of iskysoft, thank you for sharing the post. 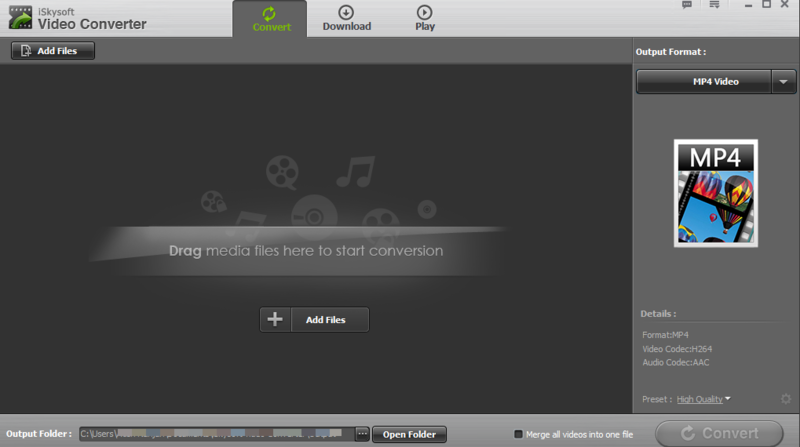 Feel so happy to find this video converter. I would like to use it now. Going to download right now. Please keep posting such useful post. I have been using some video players like VLC, WMPlayer, KM Player etc to play videos and also used Freemake video player to convert video format. There are cases where few formats of movies that can’t be played in the players I was using. 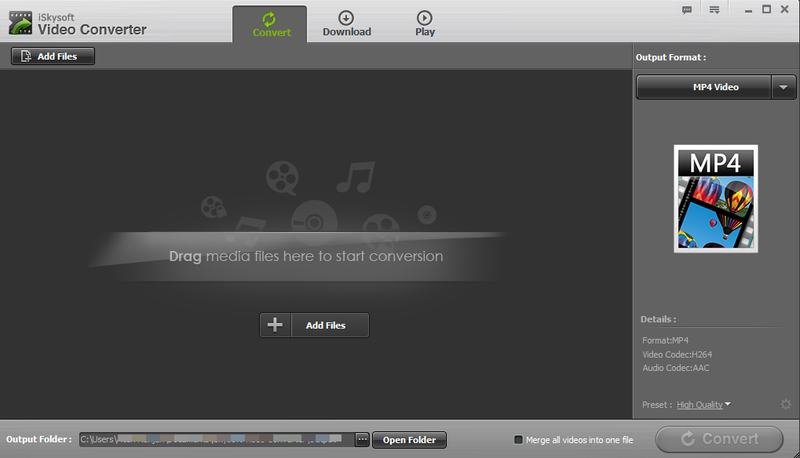 I will give this iskysoft video converter a try now as it looks a good one to try out for. Thanks for sharing this useful article.